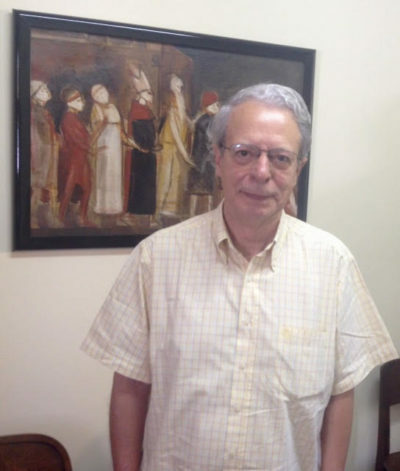 Frei Betto spoke with the author at the Dominican convent in São Paulo, Brazil. Frei Betto (Carlos Alberto Libânio Christo) was born in 1944 in Belo Horizonte, Brazil. He began his political engagement as Catholic student and was imprisoned by the military regime that seized power in 1964 and ruled until 1985. I interviewed him first in 1986 after the publication of his book of interviews Fidel and Religion. This is the first of two interviews given in December after the election of Jair Bolsonaro as president of Brazil. Dr. T.P. Wilkinson: When we met in 1986, the Brazilian military regime was considered at an end and elected government was to be restored. 32 years later a man has been elected who claims allegiance to the military regime. He is quoted saying the military should have tortured less and killed more. You were imprisoned under that regime. Could you briefly sketch the developments in Brazil since 1986 as you saw them? Has Brazil returned to military-style rule, if not actual dictatorship?